The Factory Seconds trio recently visited Studio A at Interlochen Public Radio. They discussed their two main objectives, which are premiering works by new composers and transcribing and performing early music. They also explained how they got their interesting name. 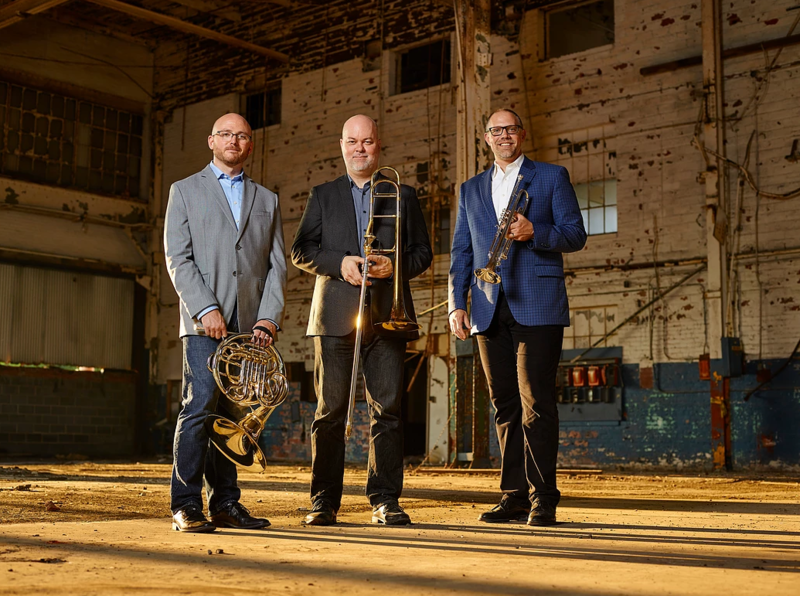 The Factory Seconds Trio will be featured in “Resolve,” a new concerto for brass trio and wind ensemble by Clint Needham. They will perform with the Interlochen Arts Academy Wind Ensemble and Dance Company on Wednesday, February 6 at 7:30 p.m. in Corson Auditorium. For more information and tickets, click here. This concert is a preview of a performance that will take place in Carnegie Hall on February 11. More information about the Carnegie Hall concert is available by clicking here. For info about the Factory Seconds t-shirts mentioned in the interview, click here.